No matter where you are, you can take a trip to the islands with the frozen Hawaiian margarita. It's a terrific blended cocktail with the brilliant fruit flavor of strawberries and pineapple that's perfect for a tropical staycation or any summer afternoon. This is one of the best fruit margaritas you can mix up. The blend of the two fruits is a perfect backdrop for your favorite tequila and you can use fresh, frozen, or canned fruits, so you can even make it year-round! Garnish with a strawberry and pineapple wedge. If the mix is too thick once blended, add a little more sour mix or triple sec and blend again. Adding ice is a quick fix if it's too thin for your taste. No sour mix? Simply add a splash of lemon or lime juice and a touch of simple syrup or sugar to the blender instead. Blanco tequilas are used most often for frozen drinks. Also, with all the flavors here, there's really no need to pour your best tequila, so you can save some money. Fresh fruit will make the freshest tasting margarita and it's highly recommended. However, frozen strawberries and canned pineapple will make a rather tasty drink as well. You can also add more of either fruit to suit your taste. To get the smoothest blend, chop the ice and fruits in the blender before adding the rest of the ingredients. Prevent your margarita from becoming a slushie mess before you're done with it by serving it in a frosty glass. It's easy to change the color of this margarita by switching from triple sec to blue curaçao. Because of the fruits, it won't be a true blue like the blue margarita, but more of a purple. The taste will not change from the original Hawaiian margarita. 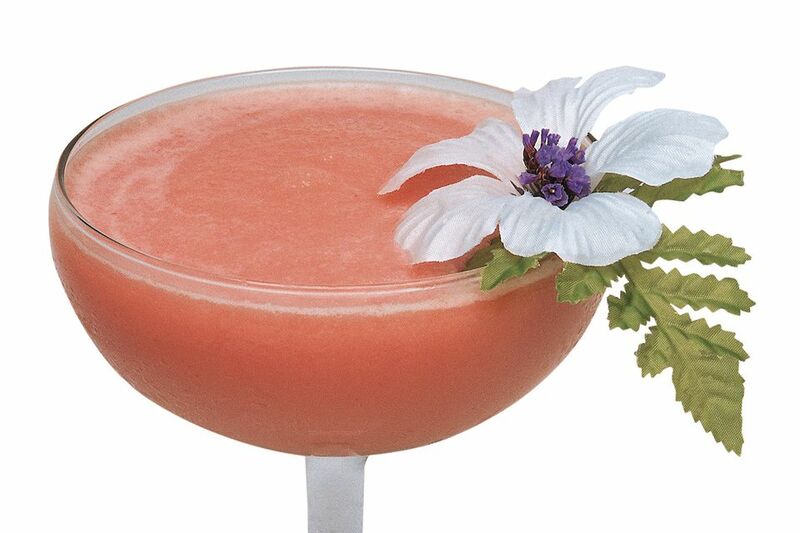 If you skip the pineapple chunks, you will be left with the very popular strawberry margarita. For a unique twist when strawberries aren't in season, try the tamarind-pineapple margarita. All you need is some pineapple juice and tamarind nectar, an ingredient that's relatively easy to find with the juices in most grocery stores. How Strong Is a Hawaiian Margarita? The lovely part about frozen margaritas is that they're relatively tame drinks. All that ice and fruit knock down the tequila's strength significantly, so the Hawaiian margarita has an average alcohol content of just 8 percent ABV (16 proof). That's similar to drinking a beer, but a whole lot more delicious.